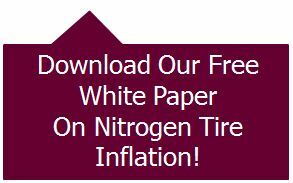 Many of those who are against nitrogen tire inflation will tell you that keeping an eye on your tire pressure and even using an air compressor at home to do it yourself will achieve the same results of nitrogen, but at a fraction of the cost. Although nitrogen tire inflation isn’t a replacement for checking your tire pressure regularly, many DIY options aren’t the best because they give you air that still has moisture in it. Here’s why that moisture is so bad, and why most air compressors and other tire-filling tools don’t do a good job of getting rid of all that air. Even if you live in a particularly dry or cold climate, there is still some level of moisture in the air. There’s always water in the environment, and as long as there is water in the environment, there is always some level of moisture in the air. Using an air compressor to fill your tires on a dry day or a really cold one may help to an extent, but it doesn’t mean that the air you’re putting in your tires is dry. Many of them come with an air filter, which does help in getting rid of moisture as well as dirt and grime, but it’s not the same as an air dryer. Air dryers are not only sold separately, but most of them are industrial-sized and several thousand dollars, something that the typical driver can’t afford and that most gas stations and auto shops don’t have. An efficient air dryer can get rid of the moisture so that you fill your tires with dry air, but this simply isn’t the case most of the time. The best someone can do with air compressors is to drain water from the air lines, but all that indicates is that the air you are putting into your tires has moisture in it. 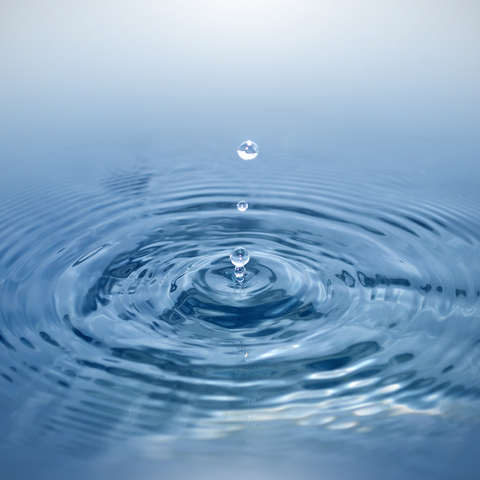 Air compressors actually concentrate the water that’s in the air instead of removing it. This means that air compressors at the gas station also contain water and aren’t a better solution than using your own compressor in the garage. In fact, the air compressors at the gas station are probably worse if the gas station or the auto shop doesn’t do anything about the moisture problems, like drain water from the lines. The water vapor from air compressors accelerates rust and corrosion inside your tire and on the axle. That moisture can accumulate over time, and then you’re driving with water in your tire. Not just water vapor, since when your tires cool the vapor turns back into the liquid. A variety of things can happen here. If it’s cold enough overnight, that water is freezing in your tire. In the first few minutes of the drive, that water is sloshing around, which can’t be good for handling or tread wear. 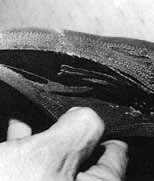 Granted, liquid water in your tires doesn’t stay that way for long, but that doesn’t mean the harm goes away. Water vapor also absorbs and holds heat, which only increases as you drive and as temperatures heat up outside. Tires inflated with air tend to run hotter and to fluctuate in pressure more, increasing the chances of a blowout and the chances of an inaccurate reading when checking tire pressure. Also, when it changes from liquid to vapor, water expands tremendously in volume, decreasing its handling, tire life, and fuel efficiency. Overall, this argument that you can fill your tires at home with an air compressor and achieve the same result as nitrogen tire inflation is just nonsense. The technology that exists for air doesn’t provide dry air, while a nitrogen tire inflation machine does provide dry, inert nitrogen. Please still check your tire pressure regularly, but filling you tires on your own doesn’t compare to nitrogen tire inflation.